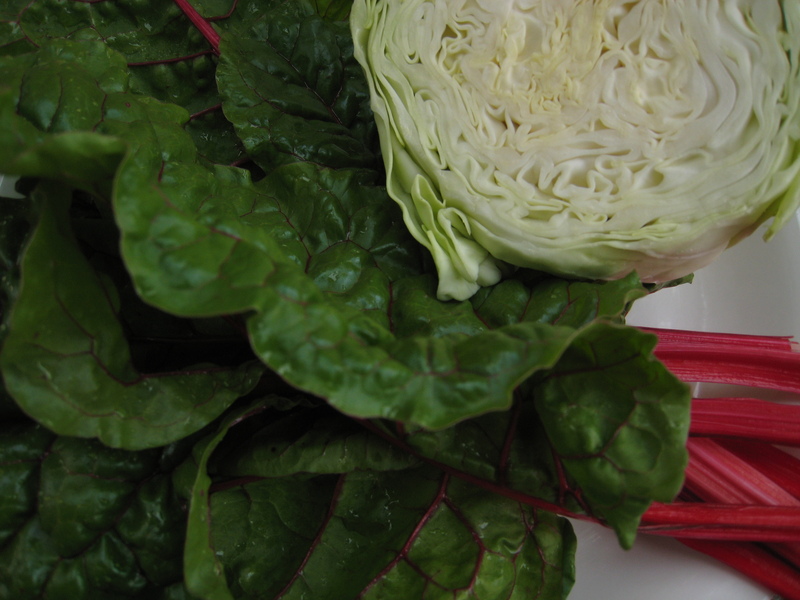 My quest to find tasty ways to cook cabbage has recently combined with a sudden influx of ruby swiss chard in my garden, and this recipe is the result. It doesn’t taste or smell very cabbagey, so if you’re picky about that sort of thing, you might still like this. 1. Slice onions and fry on low in a little butter for 3-4 minutes. 2. 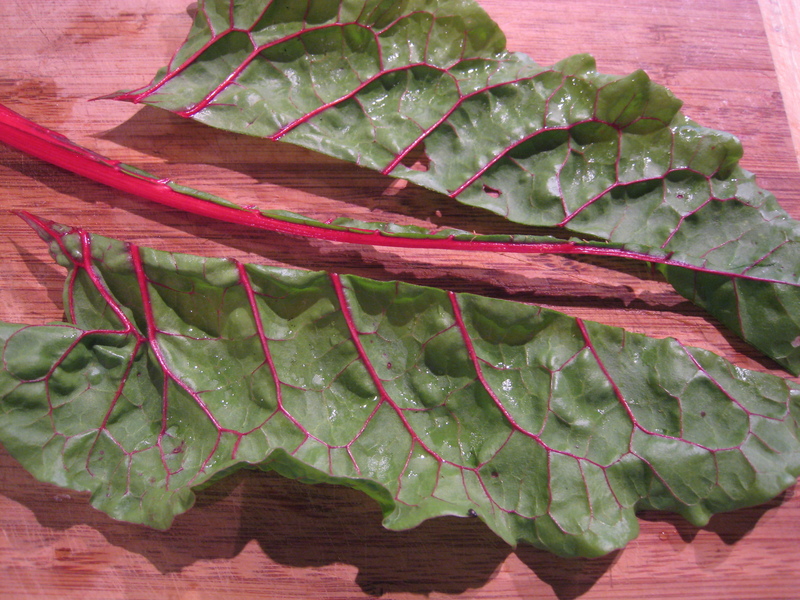 Remove the stalks from the swiss chard and chop them into 3-4 cm long pieces. Add the chopped stalks to the onions and cook for a few more minutes. 3. 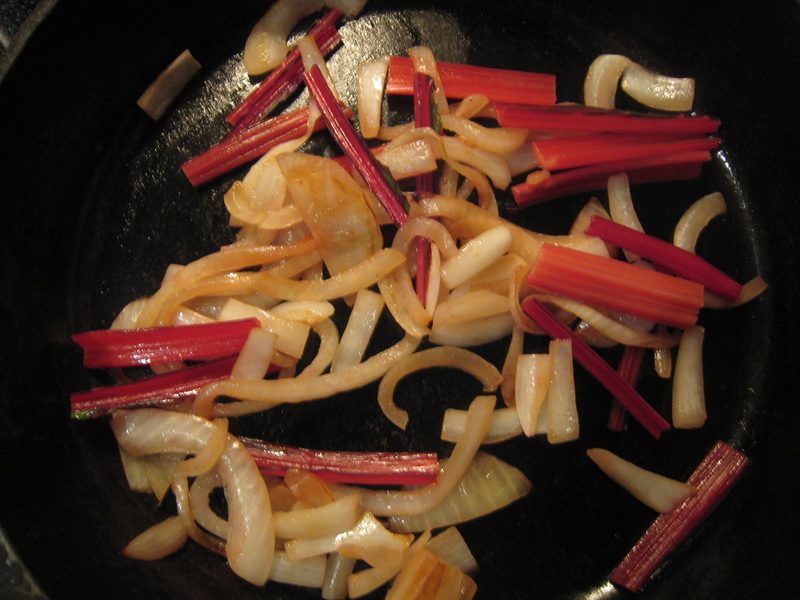 Once the onions and chard stems have started cooking, put about 1-2 cm water in a separate pot. Bring it to a boil, add the cabbage, put a lid on it, and steam for 2-3 minutes. The cabbage should be tender but not soggy. 4. Chop the swiss chard greens. 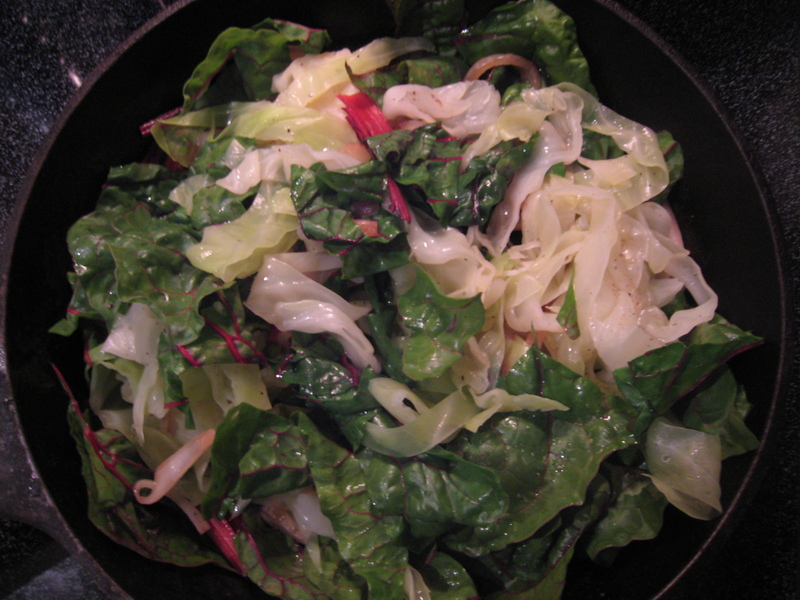 When the chard stems and cabbage have both cooked, add the swiss chard greens to the pan with the onion, then put the cabbage on top of the green. Add a little butter, salt and pepper, and toss it all together until the greens have wilted. I made some changes to the recipe to specify a little better. This was one of my earlier posts, so I was (and still am!) learning how to explain things well.